On the tip of the Baja is a beautiful tourist city located on the Sea of Cortez and is a perfect spot for a destination wedding. There are so many options in and around Cabo San Lucas, and San Jose Del Cabo that will host all of your guests and the bride and groom with simplicity or with opulent luxury. Some of the best places to get married are the Grand Solmar Land's End, The Resort at Pedregal, Villa del Palmar, Grand Fiesta Americana, Hacienda del Mar, Casa Dorada, Dreams Los Cabos, Pueblo Bonito, Westin Los Cabos, Sheraton, Las Ventanas, Hilton or the Marquis. 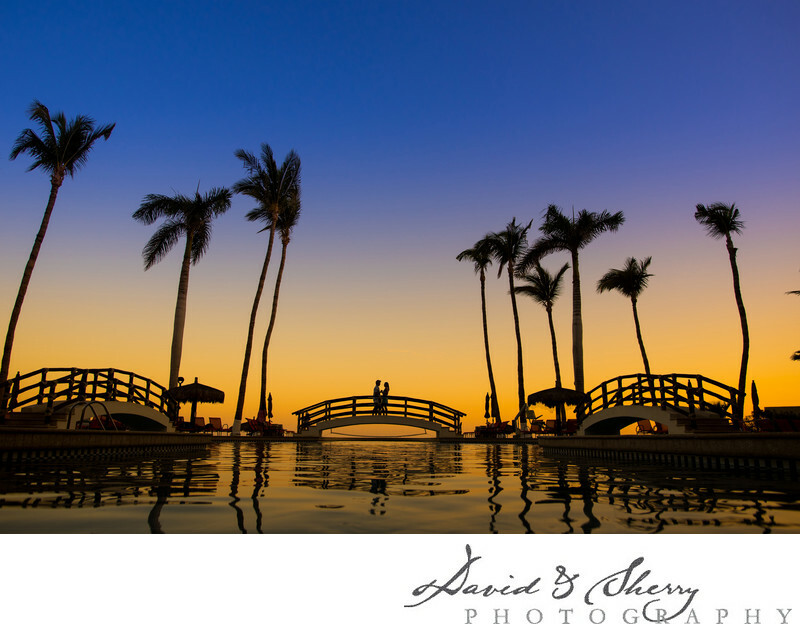 One of the things to consider when having a destination wedding in Cabo is to have wonderful photographs to commemorate the day. The only thing you will take away from your wedding day are your dress and your wedding photos. Capturing the beautiful moments of the bride walking down the aisle and the groom's reaction to seeing the bride for the first time in her dress, the reactions of the bridesmaids admiring the stunning wedding gown, and the reactions to the funny speeches throughout the night is incredibly important. Of course the photos of the bride and groom together along with the family photos, bridal party photos and every little detail that was planned throughout the day is want to be captured in stunning focus and composition. Make sure you hire the best for your wedding day. One of the most important little things we can do to help preserve beautiful memories is take you out to the beach right around sunset when the sky is turning it's beautiful oranges and pinks and capture some wonderful images of the two of you that you can frame and put on your walls. Location: Cabo San Lucas, Mexico.